We don't display expired voucher codes - all of the Currys PC World vouchers shown on Money Saving Voucher Codes work and can be used today. 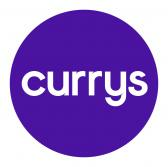 Keep your Currys PC World voucher codes to hand at the checkout for a discount on your order. At the Currys PC World shopping cart checkout page you will see a box asking you to enter your voucher code - pop the code in there and save money. It's as easy as that!